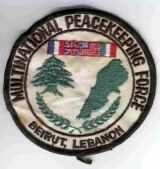 In 1982, at the request of the government of Lebanon, the United States agreed to participate, along with the French and Italians, in a peacekeeping force in war-torn Beirut, where Moslem and Christian factions were fighting. 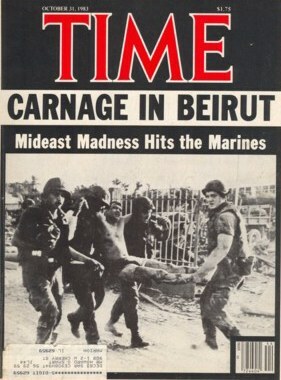 On 24 March 1983, the 24th Marine Amphibious Unit were dispatched to Lebanon. 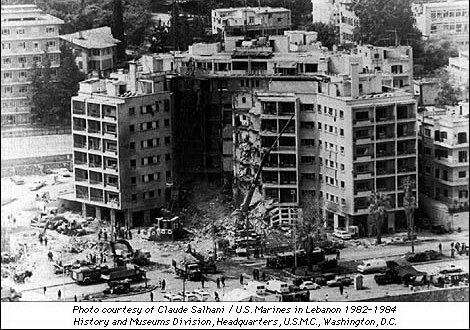 In April 1983, the U.S. embassy in Beirut was struck by a terrorist driving a van loaded with 2,000 pounds of explosive. 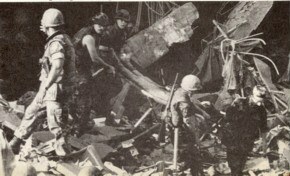 63 people were killed, including 17 Americans -- a number that included one Marine and the entire CIA Mideast contingent. 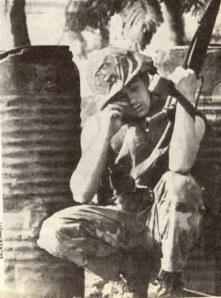 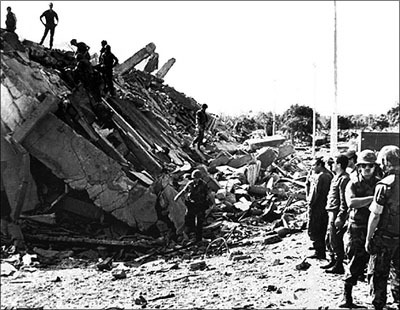 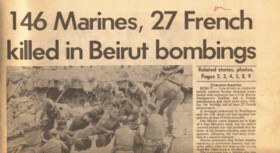 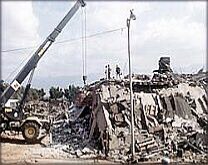 On 23 October 1983, a terrorist drove a truck loaded with explosives into the headquarters building of the First Battalion, 8th Marines, located at the Beirut airport. 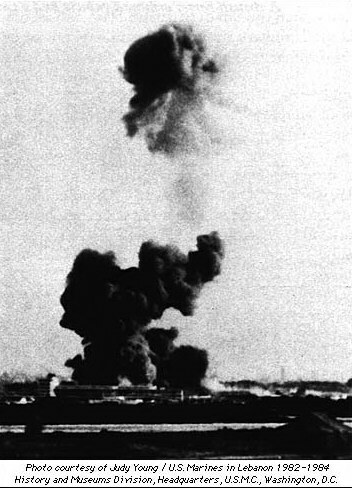 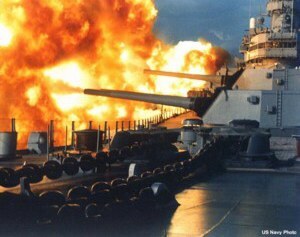 The resulting explosion killed 241 American servicemen. 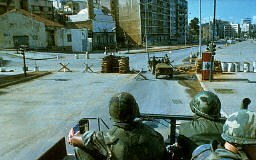 The French peacekeeping contingent was also struck, and 58 French soldiers perished. 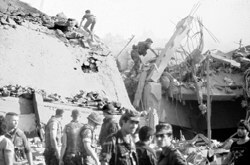 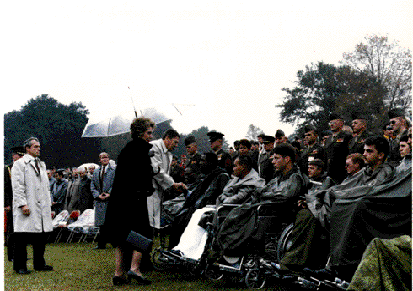 Three months later, the Reagan administration removed American troops from Beirut. 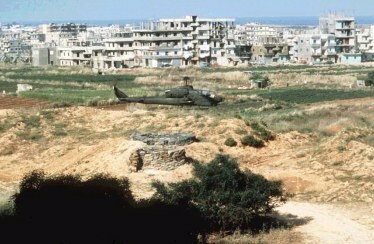 A naval presence was maintained off the coast.